This beautiful set of candlesticks are simple and traditional. 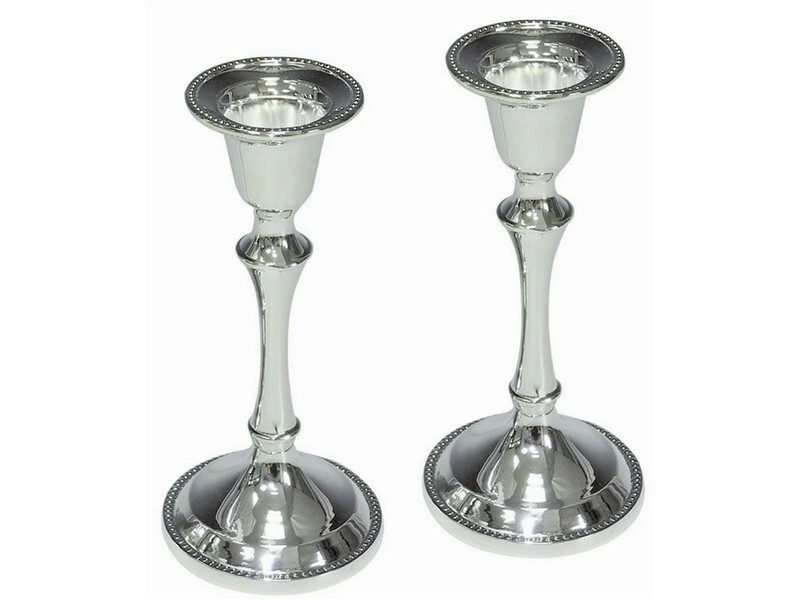 Crafted from silver plated metal, these candlesticks have a round base and a smooth finish. Its base and cup are decorated with raised dots. These candlesticks will surely add a glow and Shabbat spirit to your table. Candlesticks are suitable to be used for standard sized wax candles as well as glass holders.